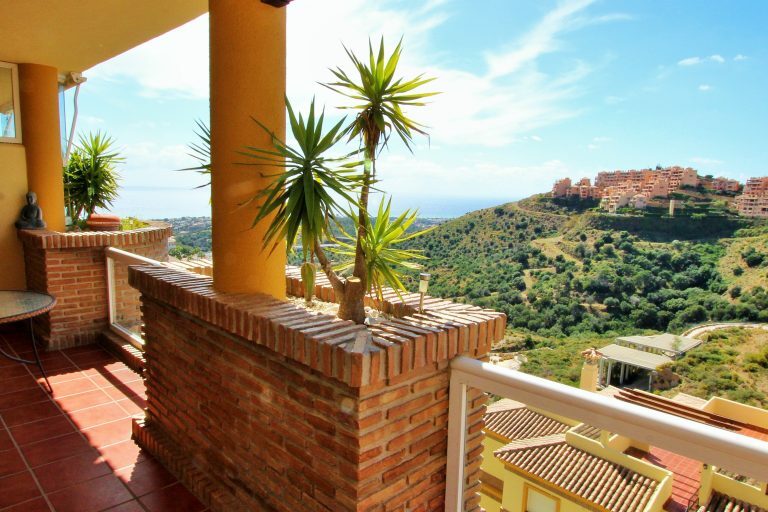 Riviera del Sol, or more commonly known as only Riviera, is an urbanisation located 37 km from the Malaga airport and between the towns of Fuengirola (13 km) and Marbella (16 km) on the Costa Del Sol. 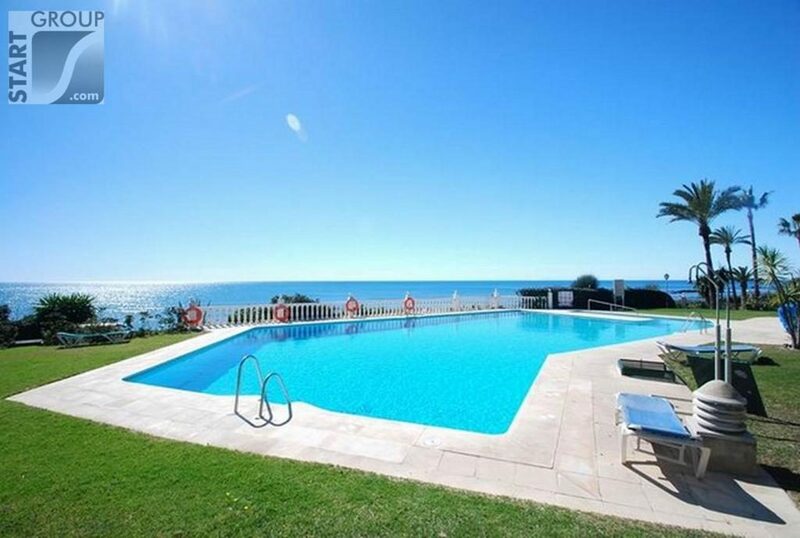 Right next to Riviera on the western side you will find Sitio de Calahonda and to the east you will find the urbanisations of Torrenueva and the village of La Cala de Mijas. 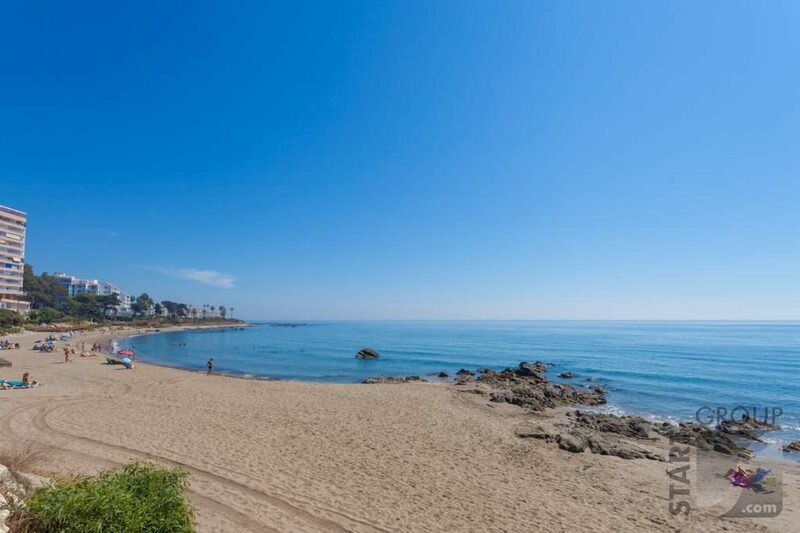 Riviera has a very nice beach that is hidden away and not so well known. Even so the beachfront offers several nice restaurants. 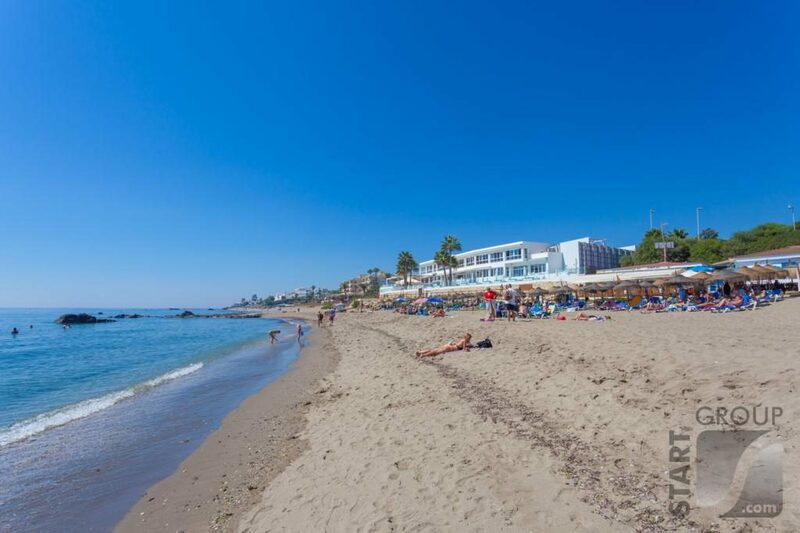 There are two typical Spanish “Chiringuitos”, “El Juncal” and “Lucera Playa” with tables and sun chairs right on the sand. One of my own favorite occupations is spending the day on a sunchair on the beach restaurants El Juncal while watching them grill my lunch. You can get fresh fish from the wood grill, the local favorites are sardines on a spit, lubina (sea bass) and besugo (sea bream). 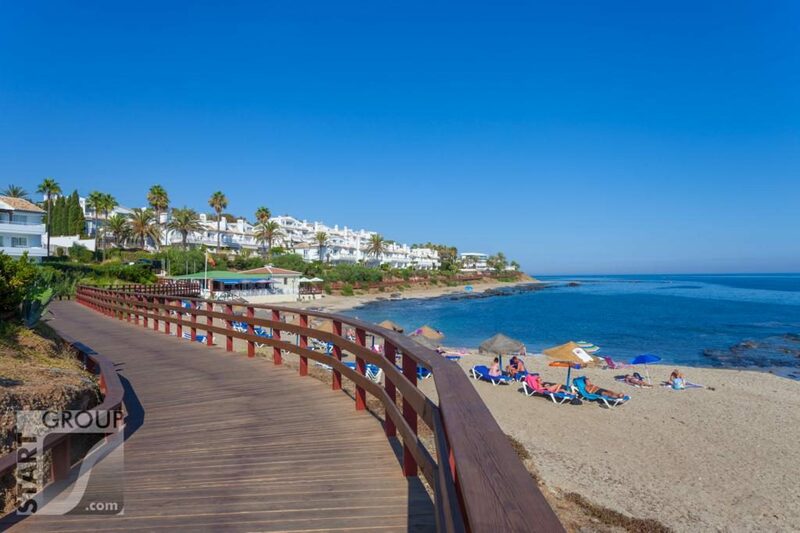 A newer feature to the area is the wooden ecological Beach Promenade “La Senda Littoral” that stretches from the Village of La Cala in the east, passing Torrenueva, Miraflores, Riviera del Sol, Calypso and Calahonda before it ends at the municipal limit with Marbella in Cabopino. There is currently a small stretch missing between Riviera and Calahonda that is planned to be finished soon. 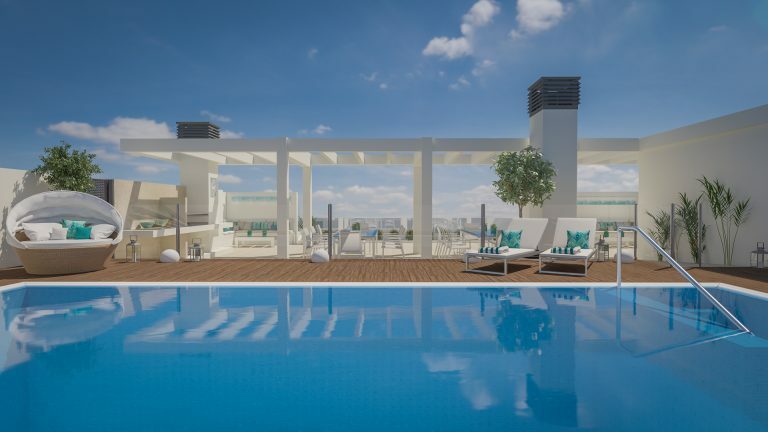 In the summer months there is also a floating water park just off the coast in Riviera – fun for the whole family! You can also rent paddle boats on the beach in Riviera. 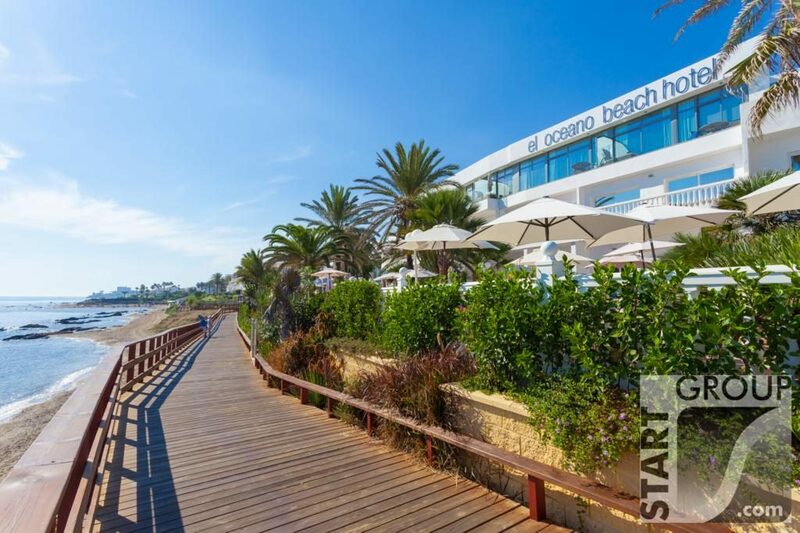 If you are looking for front line beach apartments in Riviera del Sol, StartGroup normally have a great selection in the urbanisations of Lucera Playa , Lubinasol, Playa Marina, AguaMarina, Rocas del Mar, El Juncal and Miraflores Playa. 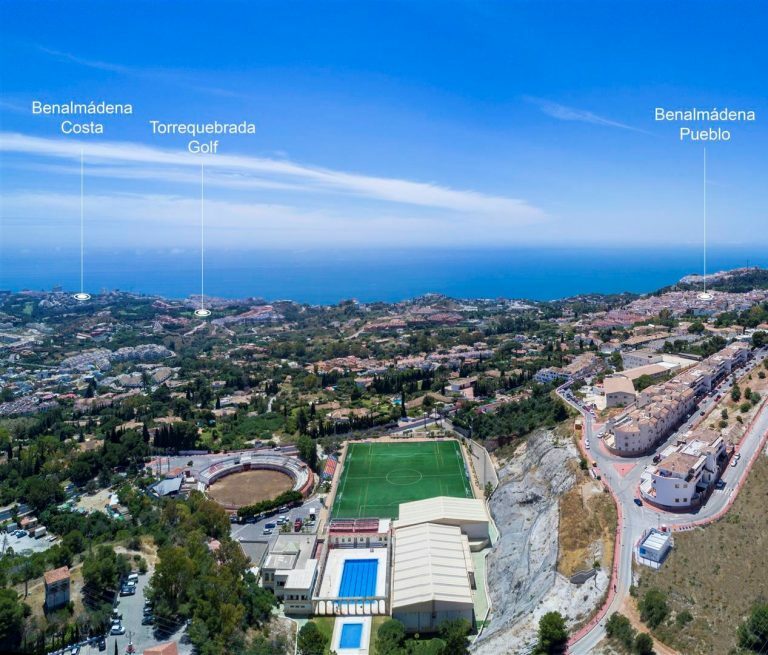 Riviera del Sol is home to the renowned golf course of Miraflores. 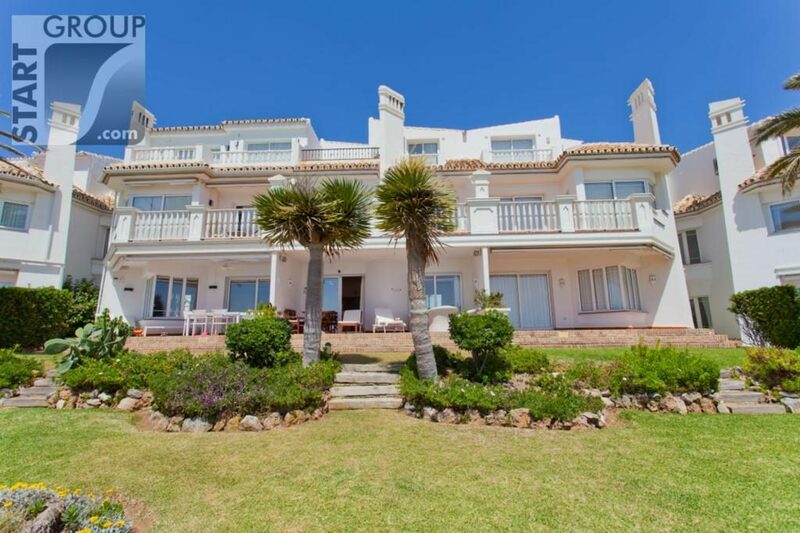 Since built in 1991 it has been very popular among local and international golfers, with many members from Scandinavia and the UK. Miraflores is a well kept 18 hole golf course that runs through a large area of the upper Riviera del Sol, with nice views and beautiful water features. 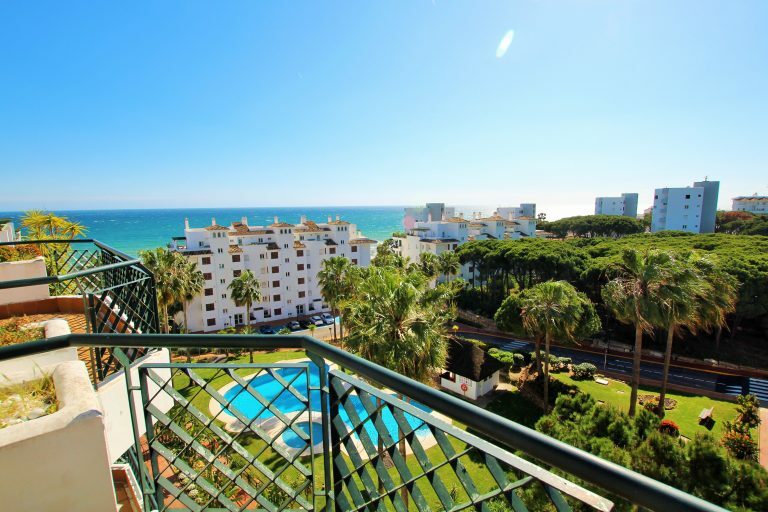 If you are looking for a front line golf apartment StartGroup can recommend properties in Golf Garden Miraflores – spacious modern two and three bedroom apartments with sea views as well as golf views. 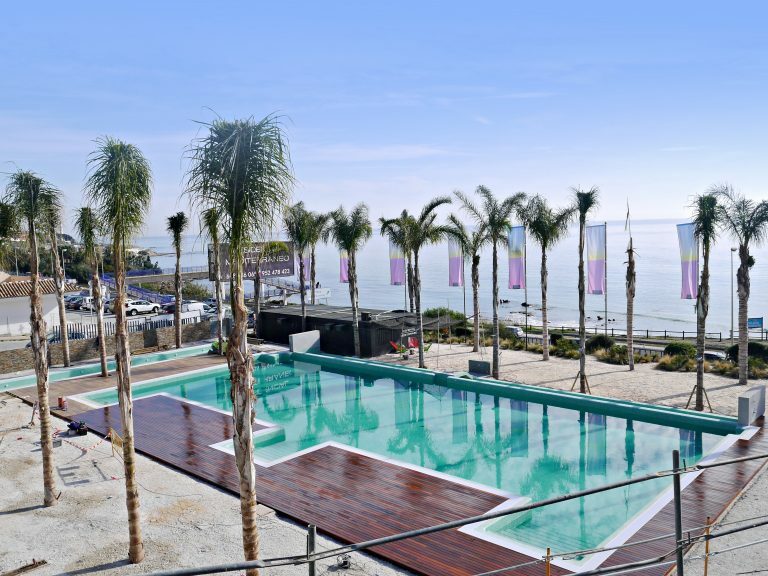 Other nice urbanisations that offer front line golf views are Island de Riviera with its big lagoon pool and indoor pool, Islas de Miraflores has luxury townhouses and apartments overlooking the biggest water feature of Miraflores and beautiful Milenio with its contemporary apartments. 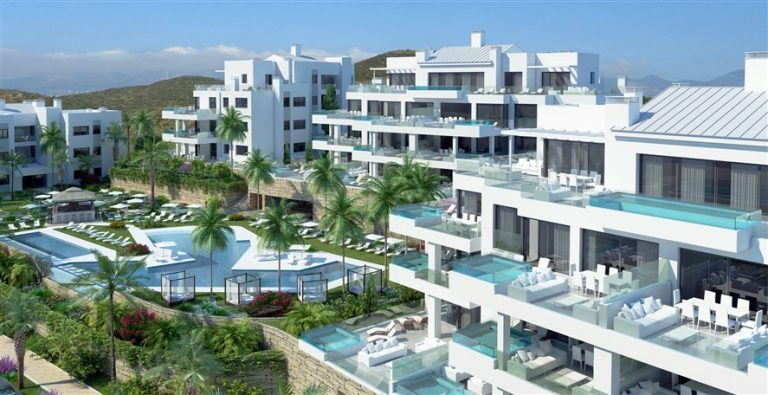 In the upper part of Riviera you will also find very affordable Golf apartments in for example Flamingo Golf Park or Lomas de Riviera. 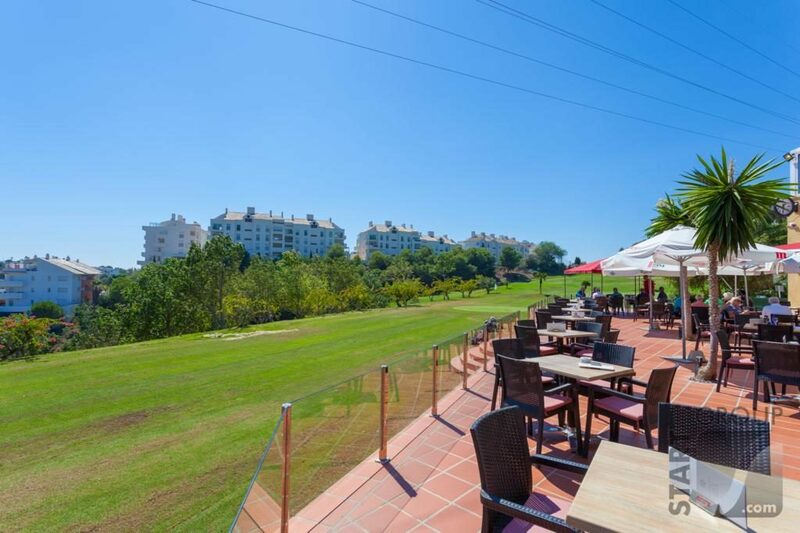 The Miraflores Golf Club House hosts a great restaurant with views of golf and the sea! Great for lunch and they also offer dinner with live entertainment many nights per week. 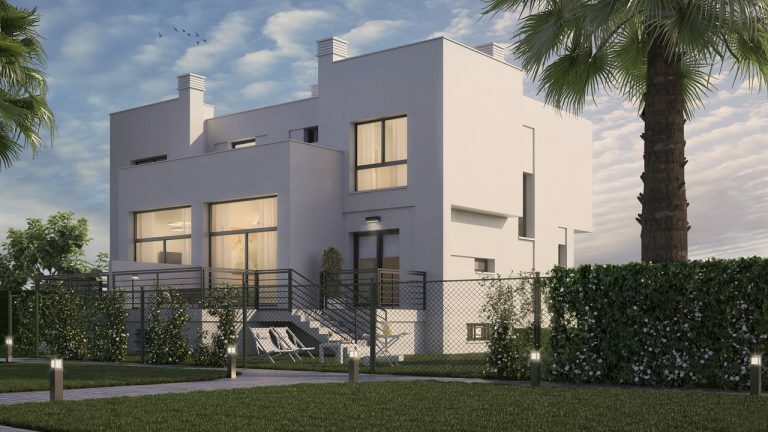 There are also luxury frontline beach townhouses and semi detached villas in Mijas Beach. 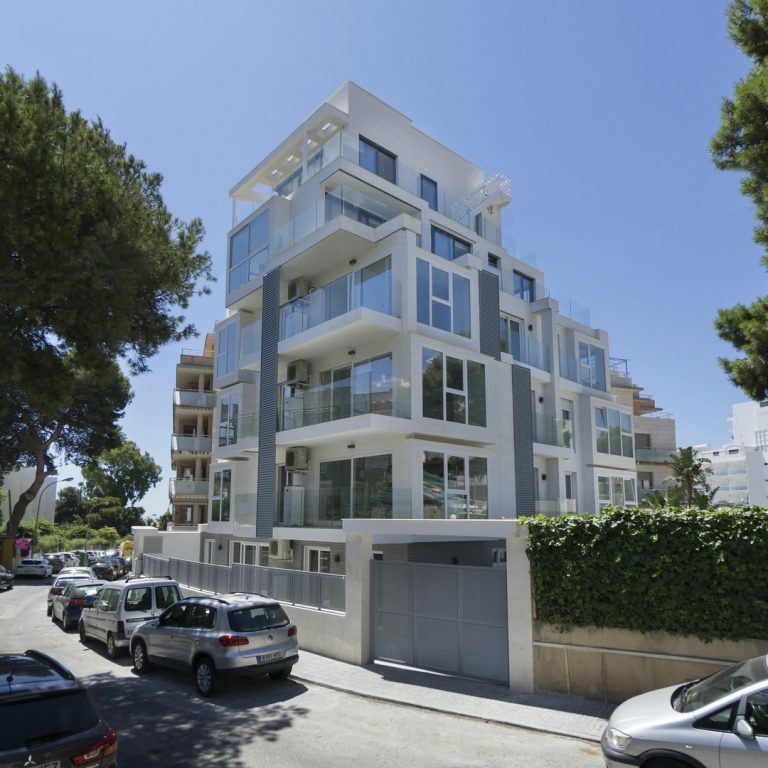 Where to shop in Riviera del Sol? There are three supermarkets in Riviera del Sol. 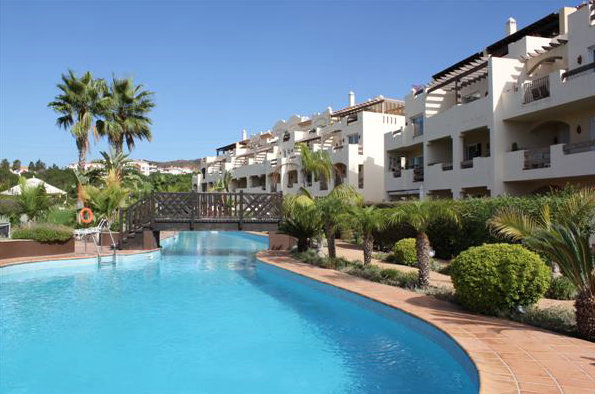 At the bottom of the Avenida del Golf you will find SuperCor which is conveniently open from 08.00 in the morning to 02.00 at night. General food and bakery -so even if you have a late flight you can get fresh bread for your breakfast here! Next to SuperCor is the “Riviera Plaza” which is a small shopping centre with a MAS supermarket, tobacco shop, Pharmacy, locksmith and restaurants. 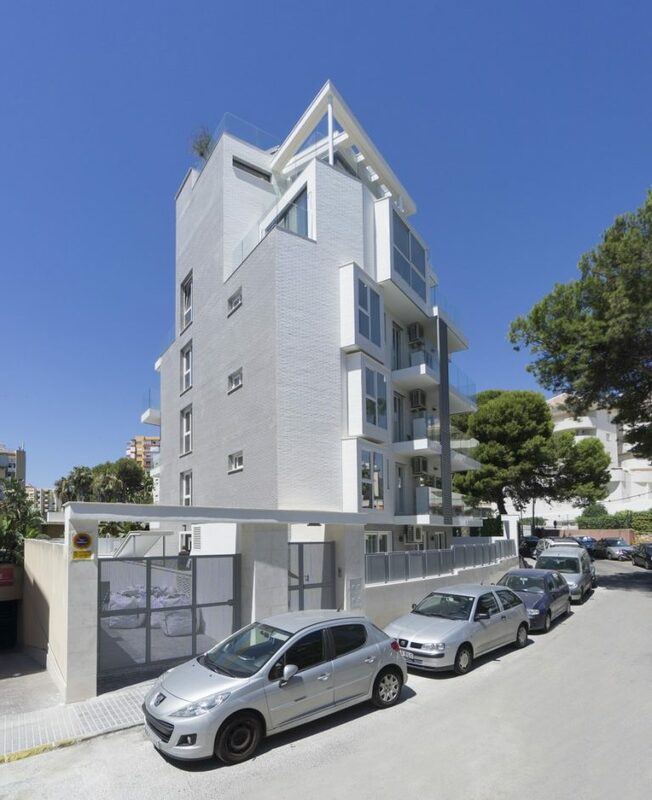 At the top of Avenida del Sol you will find another small shopping centre with several restaurants, a hardware store, internet cafe and another supermarket. There are also lots more restaurants and shops available in the area.